In April 2006, GLM established and listed a Real Estate Investment Trust (“REIT”) known as Tower REIT on the Main Market of Bursa Malaysia Securities Berhad. Tower REIT is managed by GLM REIT Management Sdn Bhd, a wholly-owned subsidiary of GLM. GLM has an approximately 21.7% interest in Tower REIT. Tower REIT’s investment portfolio comprises two strategically located prime commercial buildings in Kuala Lumpur, namely Menara HLA and HP Towers. 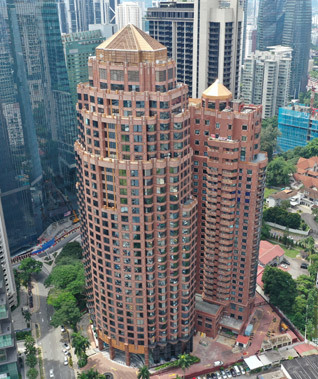 Located opposite KLCC in the heart of Kuala Lumpur’s Golden Triangle, this 32-storey office tower has approximately 36,866 square metres of lettable area. 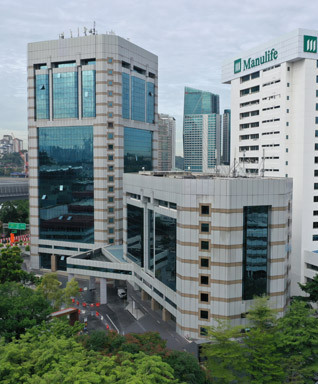 Menara HLA has a 4-level basement car park, and is currently occupied by a variety of national, regional and local tenants. Anchor tenants include Padiberas Nasional Berhad and Aker Engineering Malaysia Sdn Bhd. Located in the commercial area of Bukit Damansara, HP Towers comprises two blocks of 9 storeys and 21 storeys, 3 levels of connecting podium and 4 levels of basement car park with a lettable area of approximately 32,521 square metres. Major tenants include Hewlett-Packard (Malaysia) Sdn Bhd and Valuecap Sdn Bhd.